Quoting famous romantic movie lines is always a great way to wish your significant other a happy birthday. 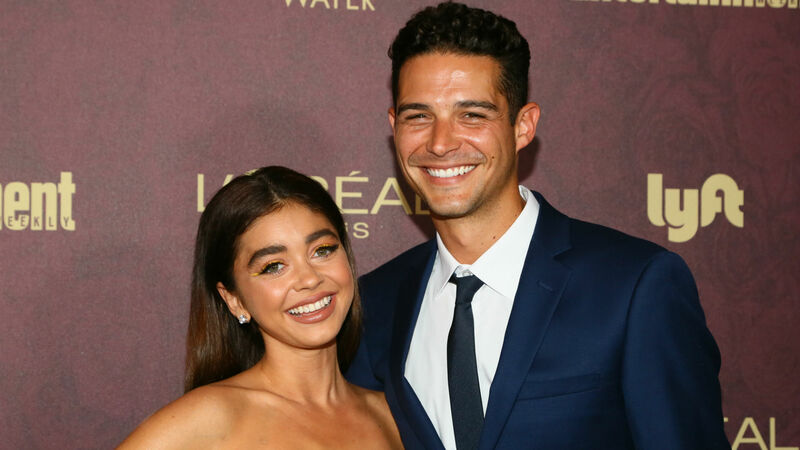 That’s exactly what Wells Adams did for Sarah Hyland’s birthday on Saturday. Adams quoted a beloved 1995 romantic comedy that starred Mary-Kate and Ashley Olsen, Kirstie Alley and Steve Guttenberg. That’s right, he used an iconic line from the hit It Takes Two to celebrate his love’s special day. As you can watch in the movie clip below, Mary-Kate’s character, Amanda, uses the quote when discussing the possibility of Diane ever finding love. Diane responds to Amanda, “Hey, a girl’s got to have her standards.” Eventually, Diane does find that “can’t-eat, can’t-sleep, reach-for-the-stars, over-the-fence, World Series kind of stuff” with Guttenberg’s character, Roger. Clearly, Adams has also found that same kind of love with Hyland. Ever since they started dating in October 2017, the two have pretty much made their romantic feelings for one another known. Their love has obviously grown exponentially since then, and it’s sweet to see just how happy they are as a couple. Hyland feels the same way as Adams, as she commented on his It Takes Two-inspired Instagram, “You’re the central perk I need every morning. I love you so much baby.” Of course, she accompanied her response with a bunch of kissy-face emojis too. Adams may have not found love on The Bachelorette, but he’s definitely living his best life now with Hyland — you know, the woman who has made him start quoting It Takes Two‘s most romantic line.